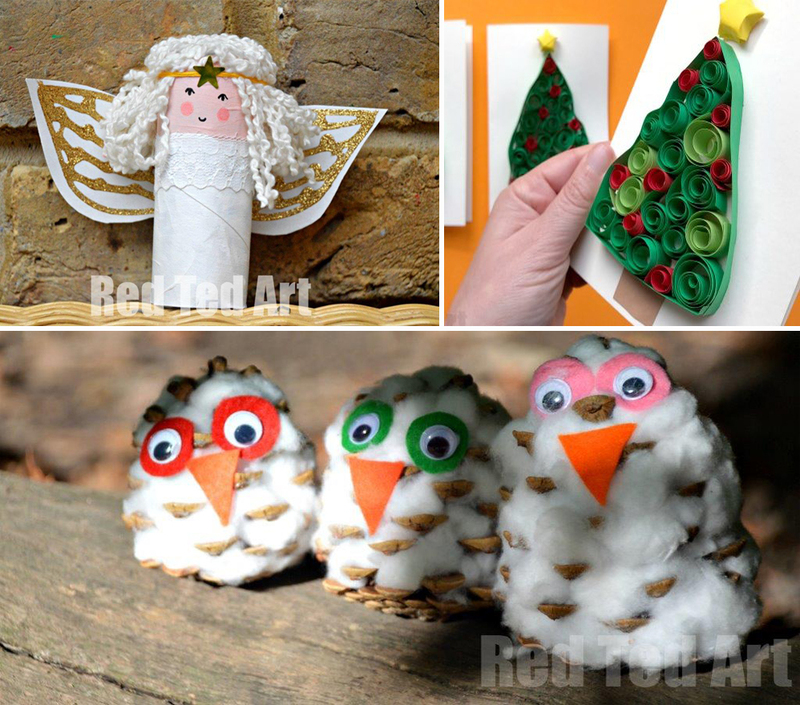 Christmas Crafts for Kids is a great way to keep them entertained. One of the best things about Christmas is then decorating with crafts that kids have made. There is nothing sweeter. We make Christmas crafts at home but I especially like the ones that my kids bring home from school, similar to these Preschool Christmas Crafts. Maybe it is the element of surprise or the fact that my kids are so proud of their work, but those crafts always get displayed a little brighter than the rest. Kids who love crafting projects for holidays, like these Easy Kids Christmas Crafts, will love to make these Christmas Crafts In The Preschool Classroom! This Paper Plate Christmas Tree Twirler is super easy to make. The base is a paper plate and the rest is decorating fun. Kids can make ornaments from paper or use other fun craft supplies to make their Christmas tree as individual as they are. These Icy Ornaments include art and science. They are basically gorgeous blocks of ice filled with winter themed pieces like bare sticks, leaves, and cranberries. Cinnamon sticks would be awesome too. Kids can hang them outside to be a beautiful decoration outside. I bet the birds would love them too. 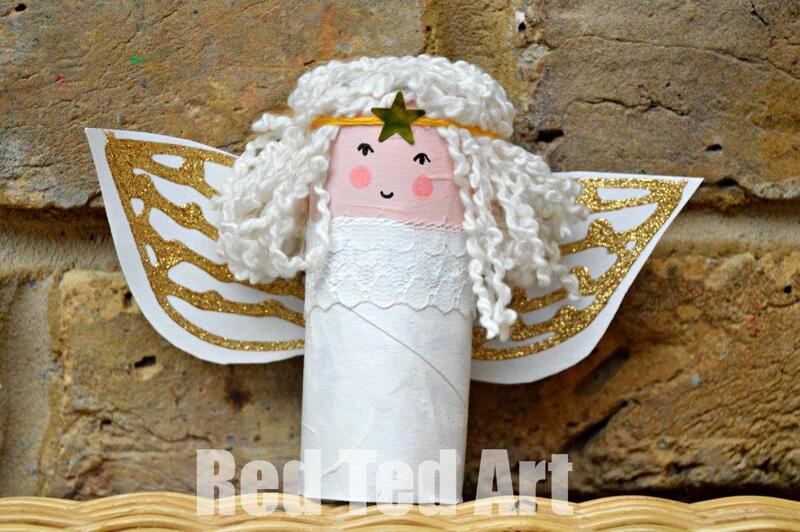 These Toilet Paper Roll Angels are so beautiful. Kids who love painting will really enjoy making these angels. The angel can sit on a mantle, on a Christmas tree limb, or even be turned into an ornament. This would make a great Christmas gift topper as well. For a classroom wide craft project, this Handprint Christmas Tree is so fun. In this project, each child contributes to create one big class wide craft project. Each child’s hand becomes part of the Christmas tree. I can imagine that kids will love making this and be so proud to walk past it every day and remember the part they took in making it. These Pinecone Owls are just too cute. These are easy for kids to make and of course fun. Each owl would be different, just like each child is different. Kids can decorate the owl, or accessorize, as they would like. They would be a great gift for someone special or in a classroom each child could exchange with another child. Salt Dough is a quintessential classroom craft around Christmas time. Why? Because as long as the pieces are taken care of they can last for years to come. This is the type of present that parents and grandparents like to receive from their little students. 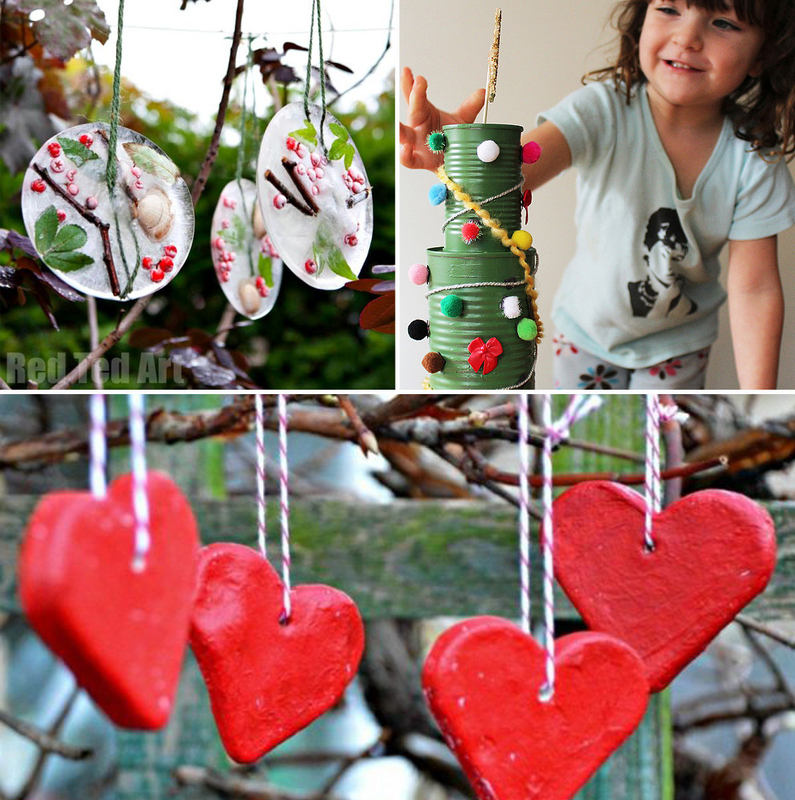 These Salt Dough Hearts make the perfect Christmas tree ornaments and hangers for the whole year round. Popsicle Sticks make the perfect craft stick snowflakes. Either kids can assemble them or you can assemble them beforehand. The classroom can be provided with decorative pieces like buttons and paint for the kids to use their imagination to make the snowflakes. Quilling is an easy project that would make a fun Christmas classroom project. These easy Quilled Christmas Cards would be absolutely perfect for kids to make to take home to their families for Christmas. They can be made with the creative touches from your little ones too. This Tin Can Christmas Tree is another that would make a fabulous classroom cooperative craft. Kids can help paint and decorate the tin cans and set it up in the corner of the classroom for the winter months. The tree can be decorated like Christmas with pom-poms, buttons and other craft supplies. 10. Another important part of Christmas is the Nativity story. 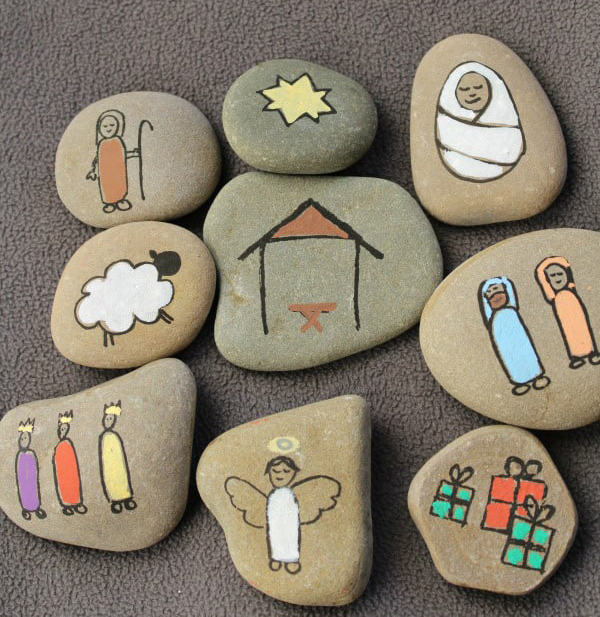 Kids will enjoy making these Nativity Story Stones to go along with the Nativity story. The stones can be bought or found in nature. The scenes can be drawn onto the stones with paint pens or chalk markers. This would make a great gift from a child as well. Hope you have enjoyed this set of Christmas Preschooler Crafts! We adore crafting with this younger age group as all the crafts made are unique and simply the most darling keepsakes. Make sure you craft LOTS with your kids whilst they are young!! Baking with kids is also a great way of entertaining them, here is a great idea for a Christmas themed baking activity. 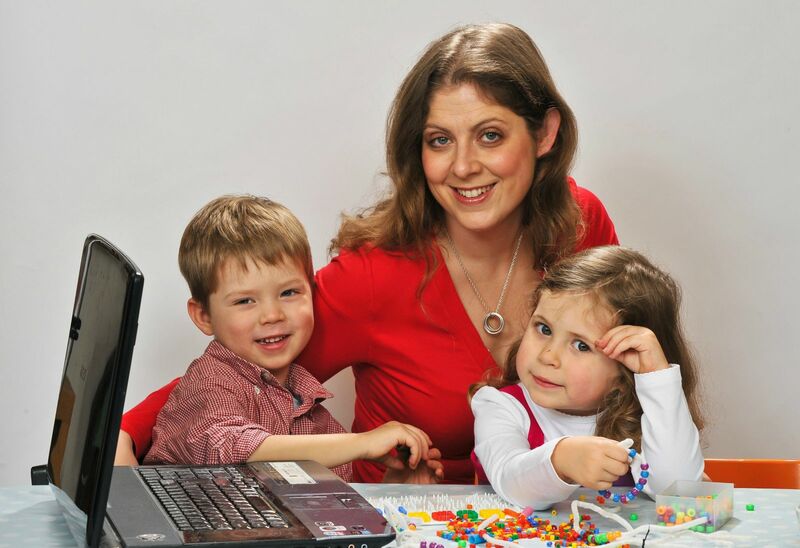 Maggy Woodley started the popular Easy Crafts for Kids blog www.redtedart.com 7 years ago. Since then she has create an amazing resource of child friendly crafts for all the family to enjoy. The blog is now complimented by a popular YouTube channel. Making crafts relevant to new generation of crafters! She also has a wealth of experience and knowledge of social media and what works! Growing an impressive social media following across Facebook, Pinterest and Instagram (and of course not forgetting YouTube! ).